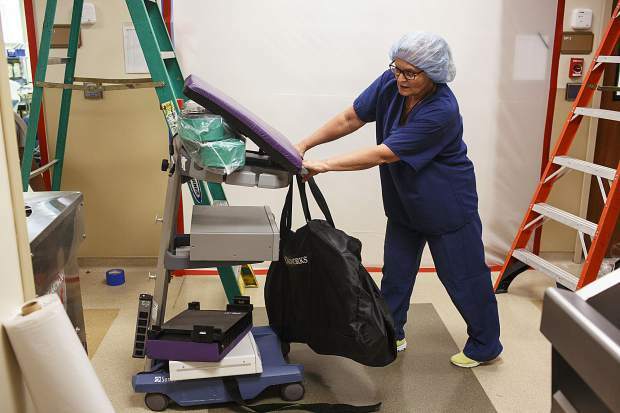 Peak One Surgery Center's director of ambulatory surgery Alena Pochman moves medical equipment to a room due to restoration projects in other areas of the hospital, Wednesday, in Frisco, due to the flooding that occurred on Tuesday evening. 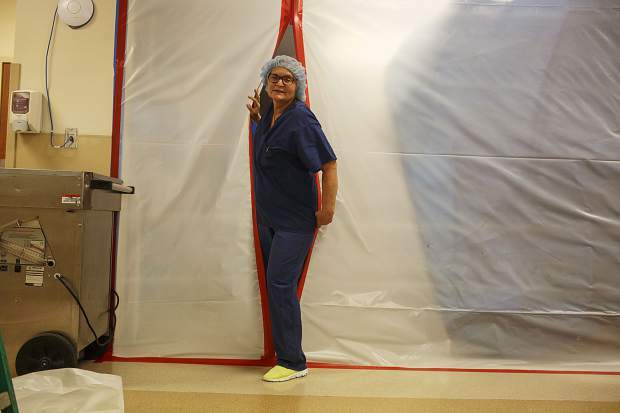 Peak One Surgery Center's Director of Ambulatory Surgery Alena Pochman moves medical equipment to a room due to restoration projects in other areas of the hospital Wednesday, Aug. 9, in Frisco, due to the flooding that occurred on Tuesday evening. 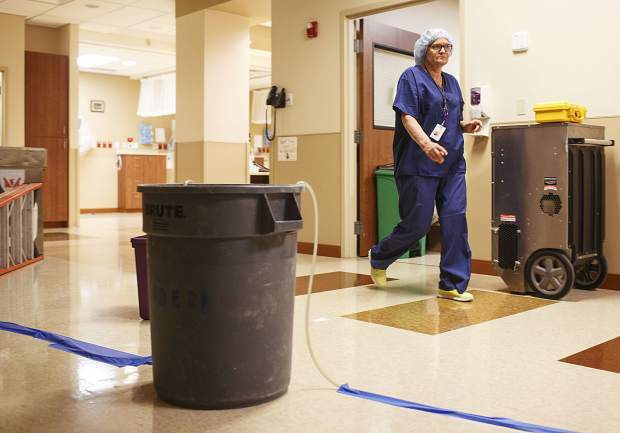 Peak One Surgery Center's Director of Ambulatory Surgery Alena Pochman walks past the bucket, connecting tubes, used to withdraw flooding waters, in the hospital Wednesday, Aug. 9, in Frisco. 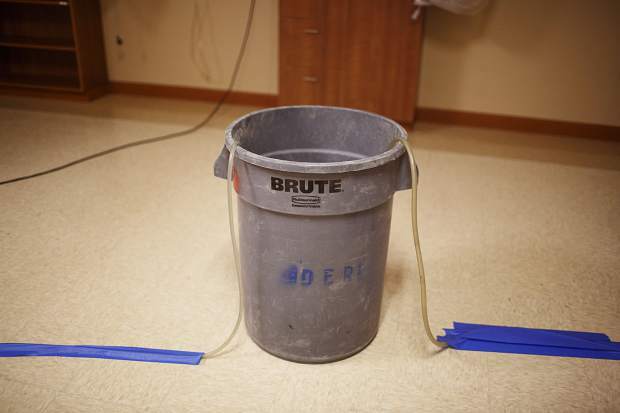 Buckets, connecting tubes, used to withdraw flooding waters in the Peak One Surgery Center Wednesday Aug. 9, in Frisco. Drying machines in the Peak One Surgery Center Wednesday, Aug. 9, in Frisco. 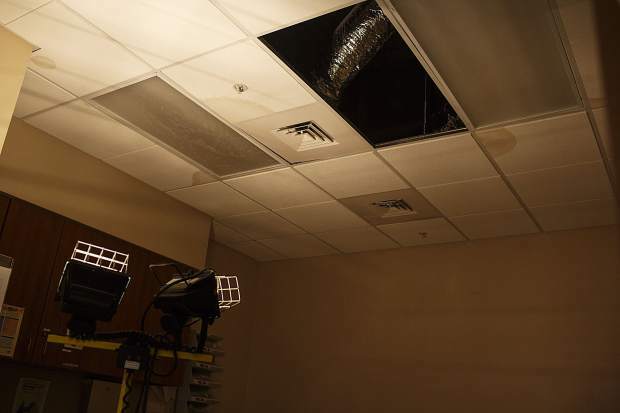 The water has damaged the electrical systems above the Peak One Surgery Center rooms in Frisco, due to the flooding that occurred on Tuesday evening. 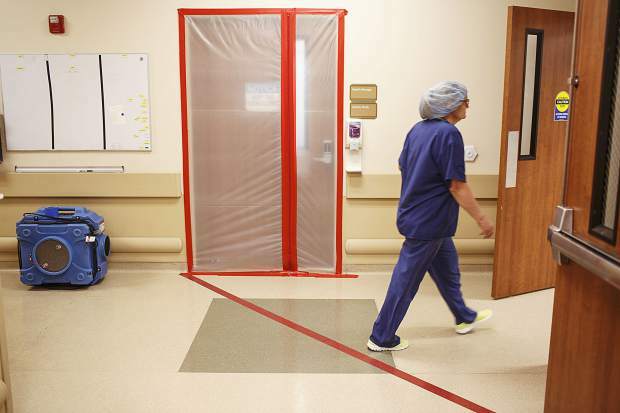 Peak One Surgery Center's Director of Ambulatory Surgery Alena Pochman walks past rooms sealed in plastic Wednesday, Aug. 9, in Frisco, due to restoration and drying after the flooding that occurred on Tuesday evening in the hospital. Heavy rains flooded the Peak One Surgery Center in Frisco on Tuesday evening, forcing the last-minute cancellation of 11 procedures scheduled for Wednesday and then the closure of the facility until at least the end of the week. 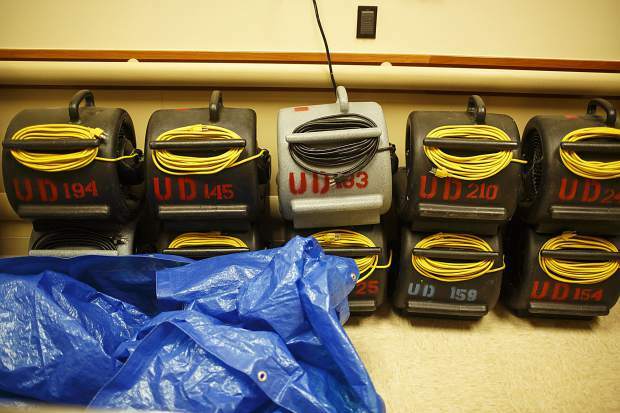 All medical equipment was quickly moved out when the leaks started and none of it was damaged, staff said. While some waterlogged ceiling tiles fell, damage to the interior was not extreme and crews were working throughout the night Tuesday to dry it out. The building’s roof is currently being replaced, which allowed the rainwater to get in, surgery center administrator Michaela Halcomb said. “Last night, there was just enough of a hard rain that the interim roofing, before it could be replaced with permanent, just did not hold, and that’s why we had water coming in,” she said. A call to the contractor, Broken Arrow Roofing, dropped shortly after being answered, apparently due to poor cell reception. An immediate call back wasn’t picked up. Halcomb said the roofer returned within 30 minutes of the first leaks to begin fixing the problem. 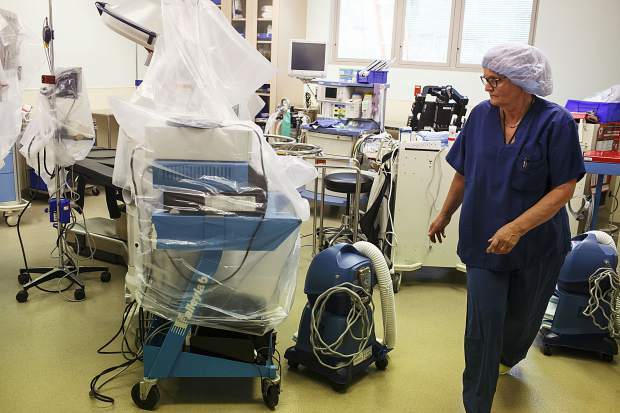 No surgeries were in progress when the leaks began at around 7 p.m., but employees were still there and quickly started arranging buckets and moving equipment. Patients with surgeries the next day were notified at around 7:30 p.m. that they would need to reschedule. 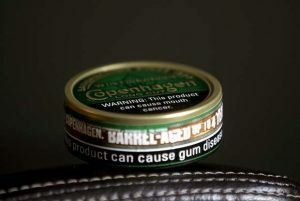 Then on Wednesday morning, administrators decided to cancel the rest of the week as well. Halcomb said repairs could easily continue into next week, prompting more cancellations. 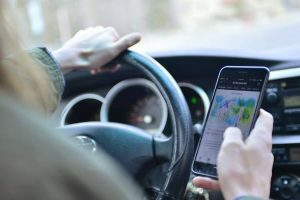 In that case, staff would contact the patients’ referring physicians, who would coordinate rescheduling or alternative surgical centers. While located on the same campus, the Peak One Surgery Center is technically a separate entity from St. Anthony Summit Medical Center, although both facilities share mutual board members from Catholic Health Initiatives, which operates Centura hospitals. 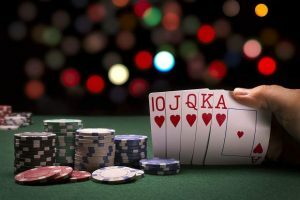 “Our surgeons have been in close contact with St. Anthony to coordinate rescheduling,” Halcomb said, noting that all procedures carried out at Peak One can also be done at the Summit Medical Center if space is available. Halcomb could not immediately provide a total number of cancellations for the week. The most common procedures performed in the center’s three operating rooms are orthopedic surgeries and injections, she said. Tuesday evening was the second time the surgery center has flooded since January 2015, although the two incidents are unrelated. A sprinkler line that burst during sub-zero weather caused the previous flood, which shut down the surgery center for weeks.